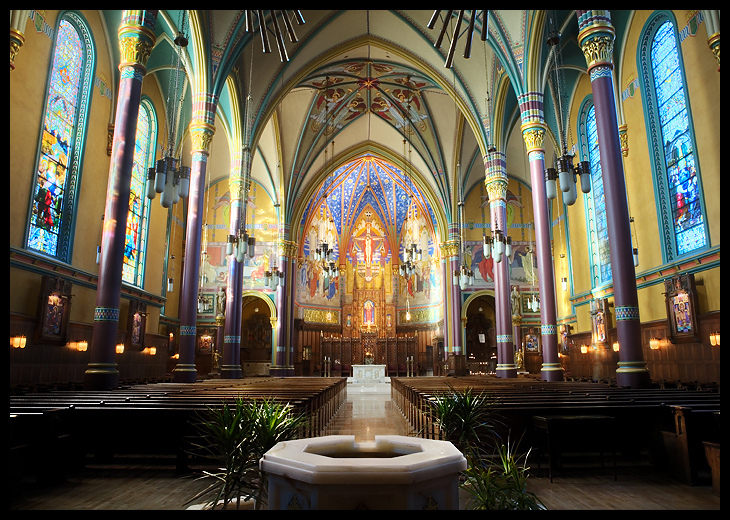 Utah’s Catholics are celebrating a 100 years of the Catholic cathedral’s presence in a state long known as a haven for Mormons. 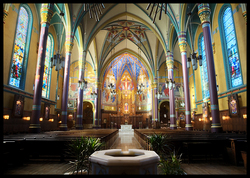 The mother church of the diocese, The Cathedral of the Madeleine, is 100 years old. While history shows us that Franciscan missionaries preached and celebrated Mass as early as 1776, this celebration concretizes a presence in a house of prayer that has celebrated the sacraments unto salvation. Catholics on the East coast of the USA or perhaps anywhere else other than Utah will wonder why I am bringing this story more attention. Isn’t the Madeleine’s anniversary a local festivity? Yes and no. Certainly the Catholics of the Diocese of Salt Lake City are remembering the graces and challenges of living their Christian faith there which obviously includes a witness to Christ. Well, it is obvious to me that every claim to witnessing to Christ is not of equal importance if we don’t point to Jesus as the origin of our happiness, the fact of being the Bread of Life and being THE way, the truth and the life. But all of us ought to be celebrating the fact that Christ has made Himself known to His people there. The theology and practice of the Catholic Church is know deeply that what affects Utah’s Catholic community affects us; being Catholic means that we are part of a Church, therefore a companionship of people announcing the the Presence of Salvation today. The Church thinks this is so with the presence of the Cardinal Prefect of the Congregation of the Doctrine for the Faith who unites all of us with the Holy Father. That is, the beauty of the Catholic faith is its true universality. Read the article and visit the links provided.